3D printing is no longer confined to making prototypes or scale objects. In fact, this technology is aggressively being utilized in the medical world thus 3D bioprinting was developed. The advantages to using 3D bio printed models is limitless. Aside from being able to print accurate and precise models of tissues and organs of different patients, 3D medical printing is now used in making functional body parts. One of the most interesting uses of 3D medical printing is in the field of prosthesis. Athletes who have lost their abilities to walk due to some serious bone disease or injuries that led to the necessary amputation of limbs can take advantage of 3D bioprinting. Researchers from China are now pioneering the use of functional 3D bio printed models to treat patients who are suffering problems with their extremities. 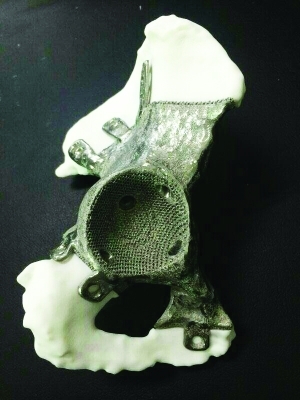 For instance, they successfully replaced the pelvic bone of a patient with 3D printed titanium prosthesis after suffering from an incurable disease that has affected her pelvic area. Through 3D bioprinting, the prosthetic hip was printed using a unique technology called Electron Beam Melting which has the capability to use titanium–a hard substance–in making prosthetic. With 3D printing the doctors were able to customize the prosthesis depending on the needs of the patient. With this breakthrough, it is expected that other prosthesis will be developed to create different kinds of functional 3D bio printed models. Moreover, this will also jumpstart the reliance of the medical industry on 3D bioprinting in creating effective prosthetics.